Once your beloved proposes, the first thing you’ll want to do is tell everyone you know. Though you may call your parents and close friends or share the news with distant relatives and loved ones on social media, a formal engagement announcement is a traditional way to spread the good news of an upcoming wedding! If you choose to forego this step, you’ll most likely be sending a save-the-date card once you’ve secured a date and location for your big day. This type of stationery should be fun and reminiscent of your love story and personality as a couple. 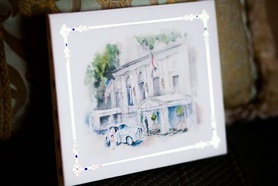 When the time comes to begin designing your wedding invitation suite, InsideWeddings.com has all of the resources you’ll need including inspiration photos from real weddings, as well as a directory of invitation, stationery, and calligraphy designers that will help you express your style as a couple. Since a wedding invite is the first part of your wedding that guests will experience, you want all of your wedding cards to fit with the color scheme and theme of the day. If you’re having a rustic wedding, consider adding a wood-grain motif or burlap decorations. Throwing an elegant city wedding? 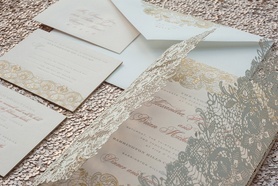 Be sure your wedding stationery features script fonts, timeless color combinations, and sophisticated textures. 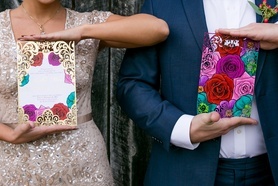 Hand lettering, letterpress, and gold foil invitations are among the favorites of our brides, but there are also many other techniques that may be special for you and your beloved. Some of the wedding invitation and calligraphy professionals listed below have crafted wedding invitations for celebrities, while others have created special stationery suites for brides and grooms just like you. 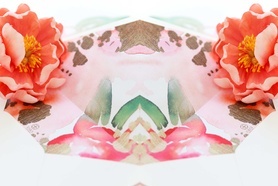 If you have any questions, contact wedding invitation designers directly from the Inside Weddings website and view their work that has been featured in the magazine and online in real weddings across the country.